Week 2 of the Cleanse - Detoxing the Liver! I'm half way through my cleanse. I have had a hard few days, and some easier ones. I have managed to give away the caffeine, and almost completely the sugar. The dairy and gluten too, quite a lot to do at once. My skin has improved, two cystic acne lumps are almost completely gone and I have had them for about 2 months! My mind has cleared and I'm not so tired anymore. Last week my daughter shared her bugs and gave me a cold, so I'm not sure if I had a detox reaction with the cold like symptoms, or genuinely sick- I'm leaning towards the genuinely sick! I haven't lost any weight, but I didn't go into this trying to do this. My tummy is definitely flatter with no bloating. I have upped my water intake so I'm always heading to the loo - this has highlighted my hopeless pelvic floor muscles (I'm blaming the kids on this one!) So back the the Kegels! My aim with this cleanse is to radiate health and 'walk my talk'. I wouldn't ask my clients to do something that I wasn't prepared to do myself. So what are the other benefits from doing a cleanse? Resetting the tastebuds, helping to change a mind set around food, finding out the effect of various foods on the body, gut and bowel cleansing and giving the liver a break. The liver is one of the hardest working organs in the body. Every day it takes care of all the toxins that we expose ourselves to internally and externally. It assists with digestion, bile production, absorption of fat soluble vitamins A,D,E and K, converting carbohydrates into glucose for energy, produces body proteins such as hormones, and eliminates excess hormones, in particular oestrogen (6)(1). I'm exhausted just mentioning all of that! So how do you know when you have been pushing your liver too hard? The liver has 2 phases of detoxification. Phase 1 involves the cytochrome P450 enzymes (This is the enzyme that is effected by medications) and Phase II which involves six pathways: glucuronidation, acetylation, sulfation, methylation, glycine conjugation, and glutathione conjugation. Liver enzymes directly neutralize chemicals or convert them into waste products that can be easily excreted by the body. (4) Both of these phases need to be working optimally to ensure good liver health. There are a number of vitamins and minerals essential to correct functioning of the phases. These being folate, SAMe, methylcobalamin (B12), magnesium, indole-3-carbinol, trimethylglycine, pyridoxal-5-phosphate(B6), choline, vitamin E, vitamin C, betaine, methionine, Thiamine (B1) and pantothenic acid (B5), n-acetyl-cysteine and magnesium. Many of these can be sourced from our foods, or a good liver support supplement (4). Please see your practitioner for specific requirements. What else we do to help maintain awesome liver function? Bitters Greens - rocket, endive, arugula, mustard greens,radicchio, escarole, dandelion leaves are all great for the digestion and the liver. Have a salad of these before a meal for the best effect. Warm water and lemon first up in the morning. This helps to cleanse the liver and flush through to the bowel, encouraging the first bowel movement of the day. Herbs - St Marys Thistle is the most popular and most studied herb for the liver. It assists in both phase 1 and phase 2 detoxification. 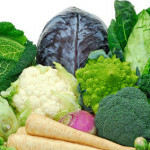 Cruciferous vegetables - cabbage, brussel sprouts, broccoli, cauliflower. These contain indole-3-carbinol which is needed for excess oestrogen clearance from the body. Turmeric - This amazing herb boosts bile production, helping with toxin clearance. Garlic - is particularly beneficial for liver detoxification, with sulphur compounds methionine, also selenium and allicin. Making it great for the immune system too. Avocado - These boost the production of glutathione, essential for phase 2 detox. The essential fatty acids in the avocado are also beneficial for the skin. Olive Oil - It is rich in mono-unsaturated fats which may protect the liver from oxidative stress (8) .Opt for an organic extra virgin cold pressed oil that hasn't been stored in the light or heat. Walnuts - these are high in glutathione and omega-3 fatty acids for phase 2 detoxification. Exercise - Regular exercise has so many benefits, one of which is encouraging great bowel function. As the liver excretes waste through bile, having the bowels functioning correctly is essential for toxin elimination. Another reason why you need to take care of the gut too. Avoid processed fatty foods - Many processed oils are rancid and place unnecessary toxic load on the liver as it needs to remove these from the body. Avoid or reduce alcohol - Excessive, and sometimes not so excessive alcohol consumption has long been linked to fatty liver and liver toxicity. Give it a miss for a while. Reduce environmental toxins - have a look at your cleaning products, your personal products even the bottle you drink water from. All of these may have toxins that are effecting your liver. BPA from the plastics can effect hormones, Parabens, Soilxanes are endocrine disruptors and chemicals such as Sodium laureate sulcate and Petrolatum have been linked to cancer. Check our David Suzuki's Dirty Dozen Cosmetic Chemicals for more information. Just making a few of these suggestions permanent will help your overall health, and be a fantastic boost for your liver. For the dressing place all ingredients into a small jar and shake vigorously until mixed. For the salad, place the greens into a large bowl and layer the other ingredients on top. Drizzle over the dressing and season with pepper.